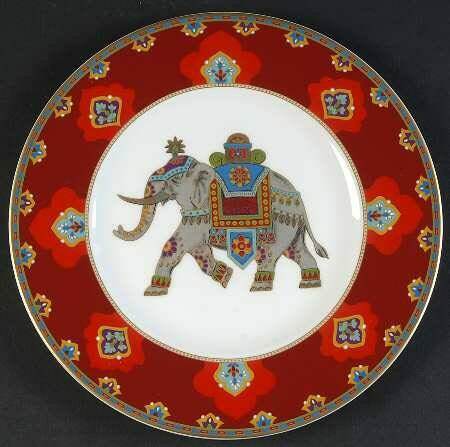 For sale is this beautiful collector Villeroy & Boch Samarkand Rubin 22 cm Plate in a elephant design with gold edging in premium bone porcelain. Samarkand is beautifully exotic and ornate, having been inspired by 14th Century travels along the Silk Road between China, India and Arabia. 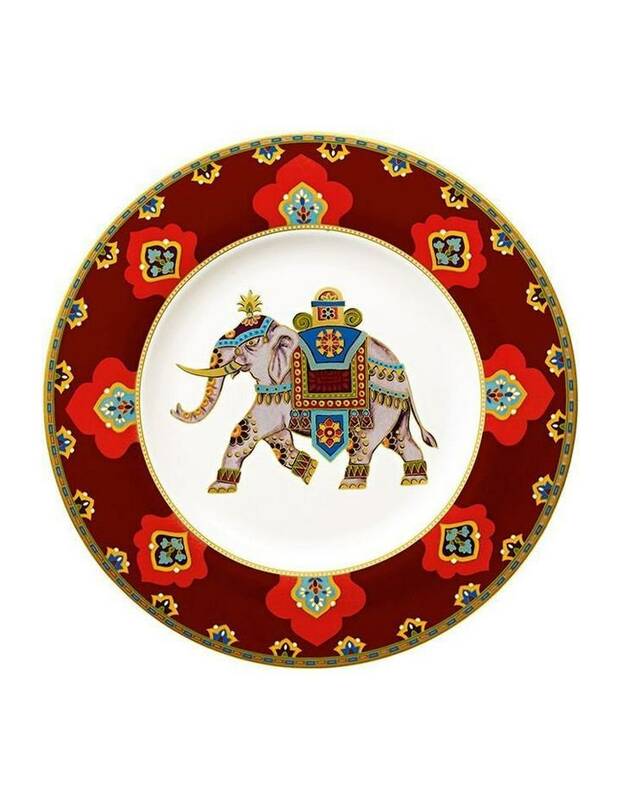 Taking its name from one of the many cities that appeared along this trade route, Samarkand infuses colour and pattern to inspire a magical table setting. The opulent decor Rubin shows a culturally specific ornamentation and an authentic pattern that expresses the characteristic of the represented countries. 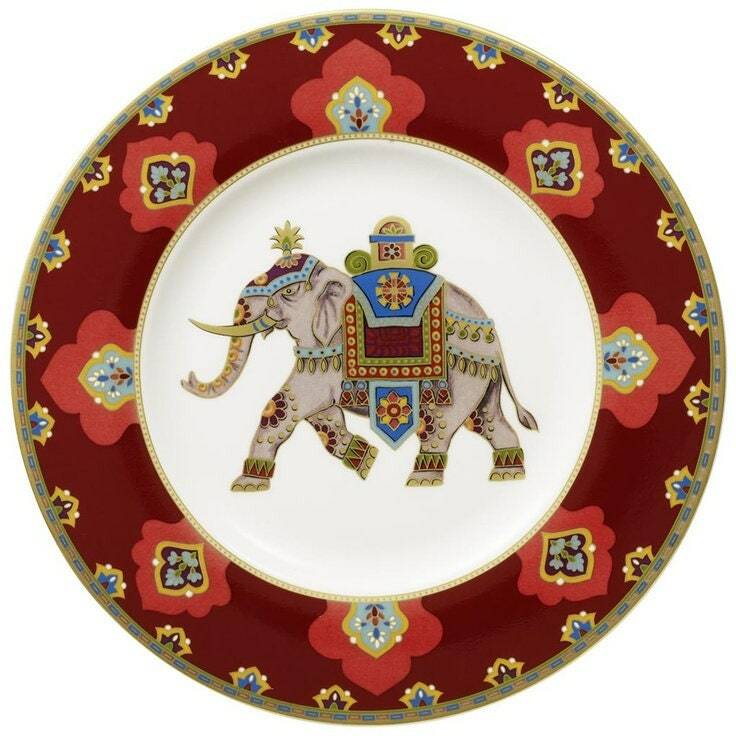 Rubin uses the traditional symbolic figure of the elephant to represent India. Fine gold accents all of the pieces augmenting the high quality of the series. Within this collection, premium bone porcelain features the mosaic-like patterns that once appeared on the silks traded along the famous road in a range of expressive shades. Mix and match these rich pieces, or follow the one colour scheme – either way, we’re sure you’ll be enchanted by Samarkand. •Made from premium bone porcelain.